You just tapped into sixty years some of the best children’s resources. These timeless truths are available to you now because of the dedication and inspiration of one woman. Dr. Mary Lou Canata was contagious in her enthusiasm and love for Jesus and children. Giving her talent, time, and treasure to compassionately reach and powerfully equip leaders. She knew how to hold the attention of both young and old, keeping all spellbound as she told of Jesus. 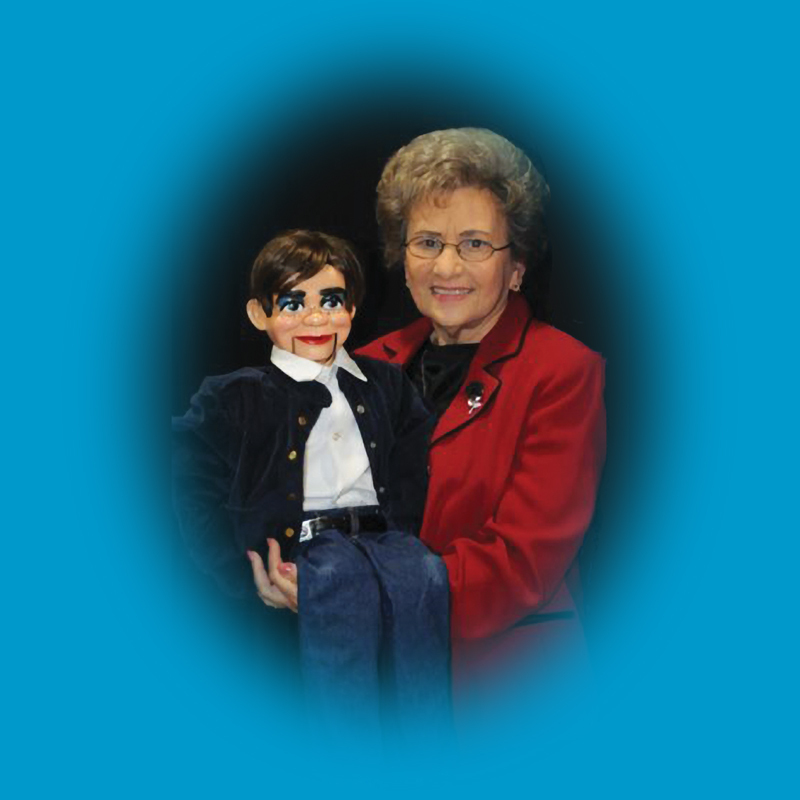 A master ventriloquist and pioneer of Christian children’s TV. She hosted a weekly radio program for over twenty-years, writer, mentor/friend to several generations, and a global Christian educator training and ministering in sixty-two countries. Retiring from National CE leadership, she then became a volunteer at Foursquare Missions Press at the age of 68, co-founding The Children’s Gospel Box. In her travels she saw the desperate need for equipping leaders around the world and providing relevant children’s training resources free. The Children’s Gospel Box is literally a box full of training tools that are used to launch and sustain effective ministry outreach emphasizing God’s life-changing Word. Of the 2.2 billion children living on our planet as least two-thirds don’t know the hope of Christ. In many nations children are ignored or considered less important than adults. Included in this collection of treasured resources are some of the materials that she developed and used globally. In her sixty-three years of ministry she never tired of loving, caring, and training leaders and children. Even in her last minutes on this earth, she held my hand and cried “don’t stop reaching children for Jesus!” This is why this collection is dedicated to her unwavering commitment to Jesus, children, and to you. To equip leaders so that they may place an eternal imprint of Jesus’ love in the hearts of children…so they too would know Him and make Him known all the days of their lives. Special thanks to the many contributors: Elizabeth Ewens, Wendy Zeleda, Roger Thrower, Lynn Sawyer, Karen Swett, Fran Rottman, Patti Wulfestieg, Dr. Jack Hayford, Tia Linda Ministries, Paul Durris, Karyn Henley, Standard Publishing, Gospel Light Worldwide (GLINT), and many others. We also want to thank Steve Zeleney and Jorge Sandoval from Foursquare Archives in pulling together several resources. Wyce Ghiacy, our Foursquare Mission Press Graphic Designer and web-master, and especially Laurie DeRevere for keen editing work. And thank-you for caring to reach children for Jesus!